You want to know your child is safe at school. While accidents at school happen, school administrators and teachers must do everything reasonably possible to minimize accidents and injuries. When a child is injured in school, you may wonder who is responsible and who is liable for paying the medical bills. To understand you and your child’s rights and the negligence that applies to school administrators, teachers and maybe even another child, requires an understanding of how the law works. Hiring a personal injury lawyer in Philadelphia may be a very good option when it comes to protecting your child. 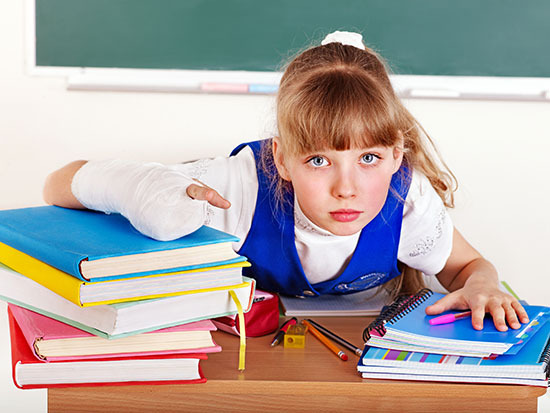 If you believe your child’s injury was due to the school’s negligence, you need to gather evidence to prove your case. You should include proof that the school failed to repair or eliminate a dangerous condition or the school failed to supervise the students properly. You must also prove that the accident was the direct cause of your child’s injuries. You also need proof of your child’s damages. Photographic evidence – Photos or videos of the incident are valuable pieces of evidence. Taking photos of the place the injury took place, your child’s bodily injuries and any dangerous conditions that cause the accident are excellent pieces of photographic evidence. Witnesses – You also want to find witnesses and get statements who can help prove your case. Good Samaritans who came to aid your child can describe in detail exactly what happened. School nurses who treated your child after the accident can help but you can also ask for a copy of the child’s nurses’ medical record. Damages – photos and witness statements are valuable pieces of evidence but you also must have proof of damages. You can’t suet he school just because you believe they acted negligently. Their negligence must have resulted in damages that you can prove. This includes medical records that coincide with your child’s injuries as well as copies of medical and therapy bills, medication receipts and verification of lost wages, if any. If your child suffered minor injuries such as small cuts and scrapes or sprains, you will most likely be able to handle the claim yourself without an attorney. Often you will be dealing with an insurance company. However, if the injuries were more serious such as broken bones, head trauma and scarring, you need the services of an experienced personal injury lawyer. There is just too much at stake. If you handle the claim yourself and you make a mistake, you can jeopardize the entire claim. Your lawyer should have years of experience in personal injury law and can file a lawsuit, subpoena school records, take sworn statements and more. There is a much better chance of getting a higher settlement with a serious injury claim if you hire a lawyer. The experts at Martins Mill Legal Center have years of combined experience in personal injury claims. They are the best personal injury lawyers in Philadelphia. If your child has been hurt while at school, contact us immediately.